Dodge engines are a popular way to give a project car or vehicle engine the boost that it needs in horsepower and quality. We sell Dodge crate engines that are built right inside of our engine shop. We don’t give you a history lesson about how far Dodge has came through the years or talk about the glory days of yesteryear. We talk about the quality of our engines and what you will get when you buy one. Since our inventory is so massive, we have stroker engines, performance engines, big-block, Magnum and Ram engines in stock. Unlike smaller Dodge engine dealers, you will find a vast assortment of engines in stock here at crateenginesforsale.com. You don’t need a lot of money to buy engines that we sell. In fact, we are probably the cheapest dealer that you will find when comparing quality versus price. Because we personally assemble what we sell, we can tell you exactly what is inside of every engine. We don’t resell crate engines or markup something that we purchased as a one-off. What you get is a custom crate engine ready to deliver the performance and intensity that Dodge engines are known to give. You will not be disappointed in our crate Dodge engine inventory. That’s right 36 full months. A lot can happen to a part or component that we put on each engine during a 3-year period. An engine that works great today could develop a manufacturing flaw or problem tomorrow. We know that it can happen. We take care of all problems that happen because of parts that we used. Our labor is also warranted to be free of errors or mistakes. Our Dodge engine mechanics are among the best that are currently working on Chrysler engines in the country. These experts know crate engines. We don’t raise the price just because we let our experts build engines. We keep our prices low and the warranty and expert building is our free gift to you. We have heard from some of our customers by email or over the phone that have recently switched to buying engines from us. There are some pretty popular names out there doing very bad business behind the scenes. We process every order fast and ship it out immediately. We know how to wrap and crate engines to avoid damage during loading and unloading. There are a lot of things that can go wrong after an engine leaves our facility. We take every precaution to ensure that your engine arrives safely and ready for installation in a Dodge vehicle. Call (336) 355-5679 and you’ll be impressed by several things we offer. The first is our low price. You won’t find a better price for Dodge crate engines online. We know because we look everyday. We are more than competitive. We treat you as a human being and you speak with real people that are passionate about the engine business. 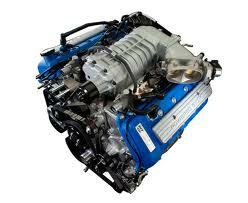 You can get your price emailed to you if you complete our quote form for your Dodge engine. We make ordering easy and error-free. Try our Dodge crate engines today.